Believe you me, it’s not a flavour combination I ever would have thought of on my own, but the fusion of a thick teriyaki sauce and mild curry seasoning just seems to work! This is my brother-in-law Craig’s creation, so I think he rightly deserves his name in the title (though I’m pretty sure he’s never read my blog!). There’s really not much to this! 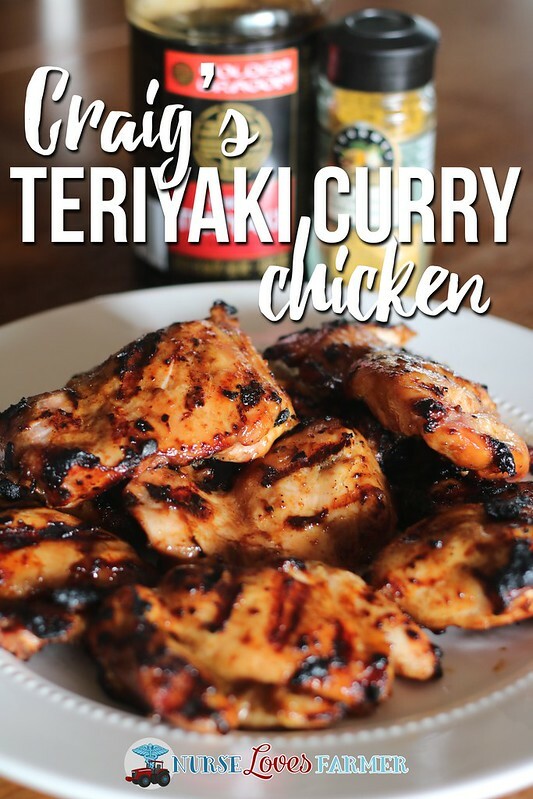 Use as many chicken thighs as you need for your crowd, marinate in teriyaki sauce/glaze and sprinkle with curry powder as needed; I don’t use too much. Refrigerate until needed and you definitely don’t have to marinate, but I do if I have time. Costco (in Canada) sells the Kikkoman glaze, which also happens to be gluten-free if you need, but I just buy Golden Dragon brand thick teriyaki sauce. These, in my humble opinion, must be barbecued! It’s the only way to get those crispy bits that taste so good with this flavour combo. I warm up our BBQ on medium/high heat (depends on your BBQ), and then place the chicken thighs on, about 5 minutes per side so I have nice grill marks and crispy bits. 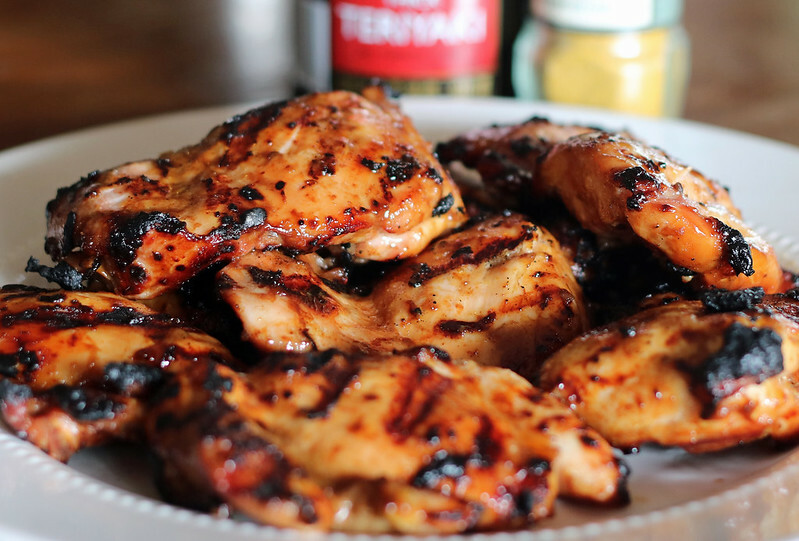 However, if you don’t have a BBQ or prefer to use your oven, grease an appropriate sized casserole dish, coat chicken thighs in teriyaki sauce and sprinkle with curry powder. Bake at 400ºF for 20-25 minutes…and let me know how they taste, because I always do these in the summer on the BBQ. 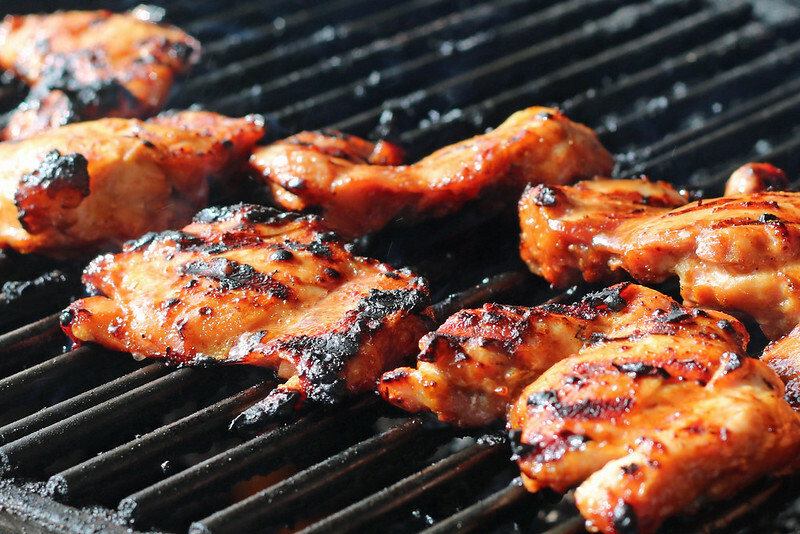 Regardless if you BBQ or bake, make sure they reach an internal temperature of 165ºF. 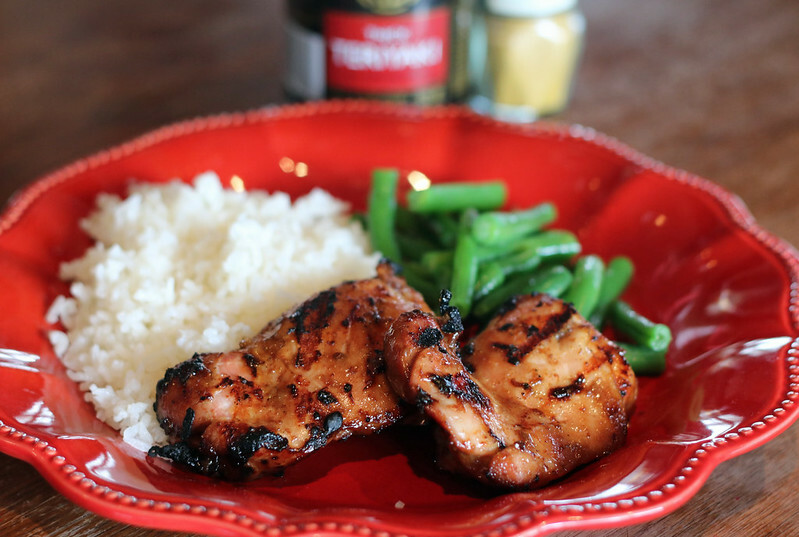 A unique fusion of flavours make these boneless, skinless chicken thighs absolutely amazing on the BBQ. Marinate chicken thighs in thick teriyaki sauce/glaze and sprinkle with desired amount of curry powder. Place in fridge until ready to cook. Warm up BBQ on medium/high heat and place chicken thighs on grill. Cook for ~5 minutes per side, careful not to burn. Cook until internal temp of 165ºF is reached. I always BBQ this chicken, but if you would like to try in the oven, grease a casserole dish and bake at 400F for 20-25 minutes. Hope you enjoy Craig’s creation as much as we do! « Jonathan is 1 Year Old!